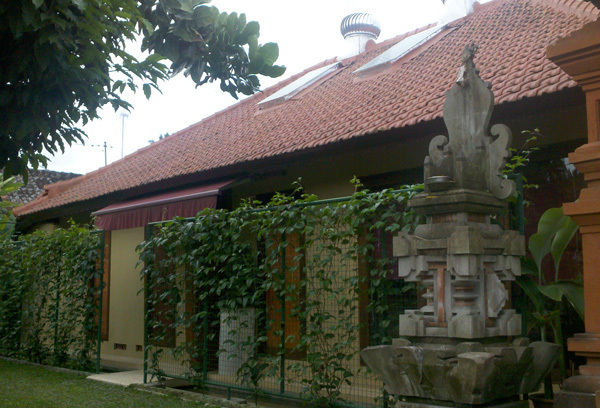 Indonesian tradesmen carried out the remodelling works, completed in December 2011. To honour the local community, it includes some traditional Balinese features and a blessing ceremony was held to respect local custom. Based on measured consumption in first quarter, energy consumption is anticipated to be less than 90 kWh/m2/yr (ASEAN standard is 200 kWh/m2/yr). The Begawan Foundation was established in 1999 by Bradley and Debbie Gardner. Their experiences developing the award winning Begawan Giri Estate on Bali, Indonesia, inspired them to initiate programmes that would benefit local people, especially in terms of conserving the natural environment and satisfying their needs in the areas of education and healthcare.